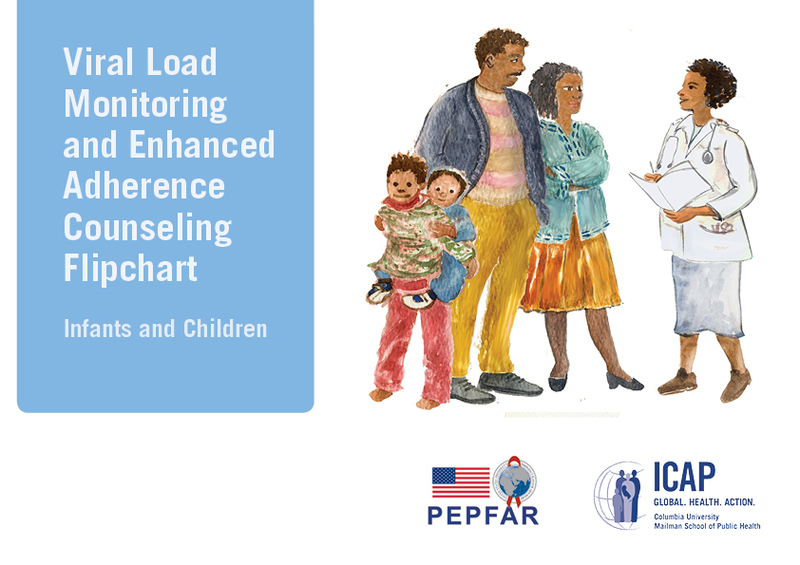 ICAP at Columbia University is a global health leader working to improve the health of families and communities through work at all levels of the health system over 20 countries, including some of the world’s most challenging, resource-limited environments. 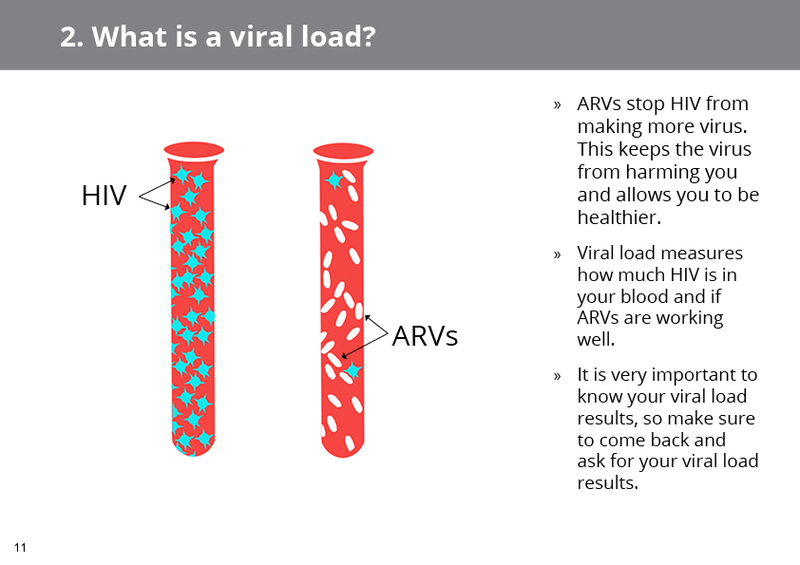 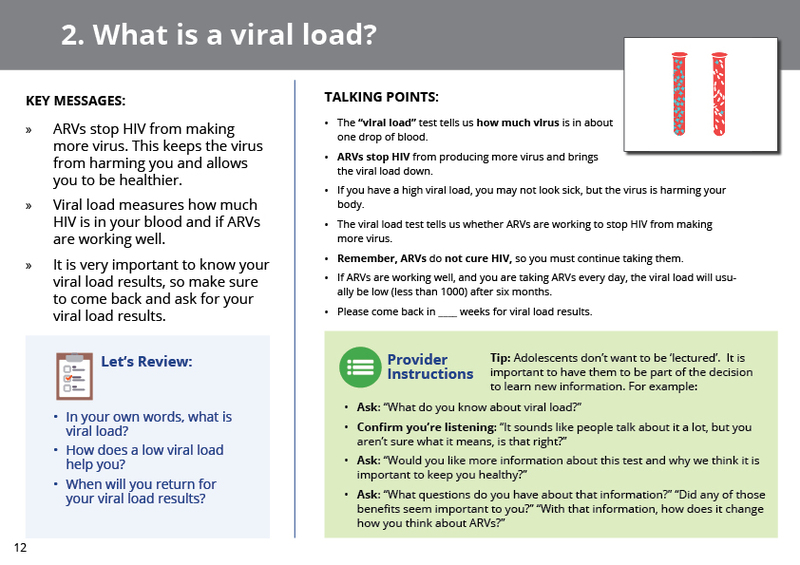 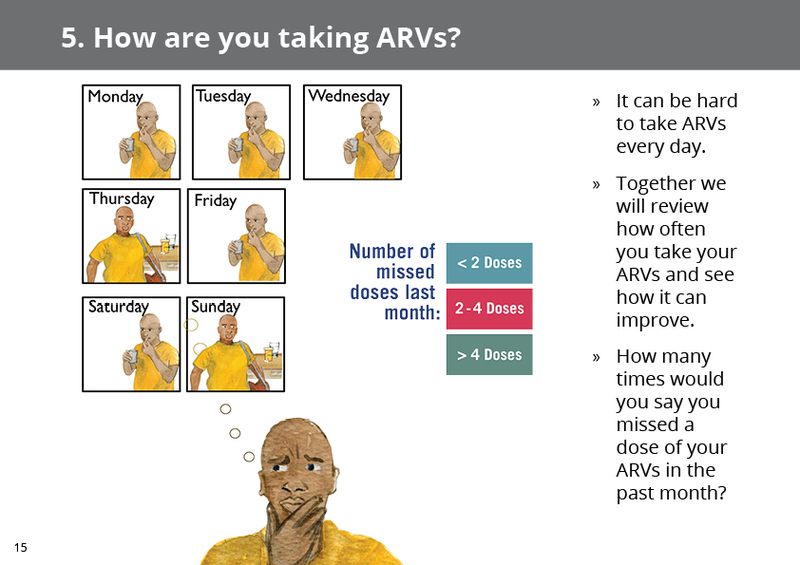 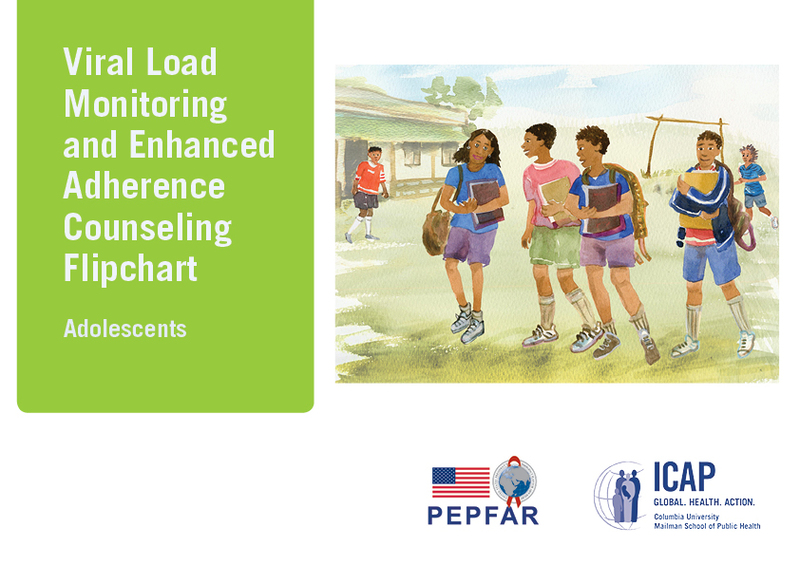 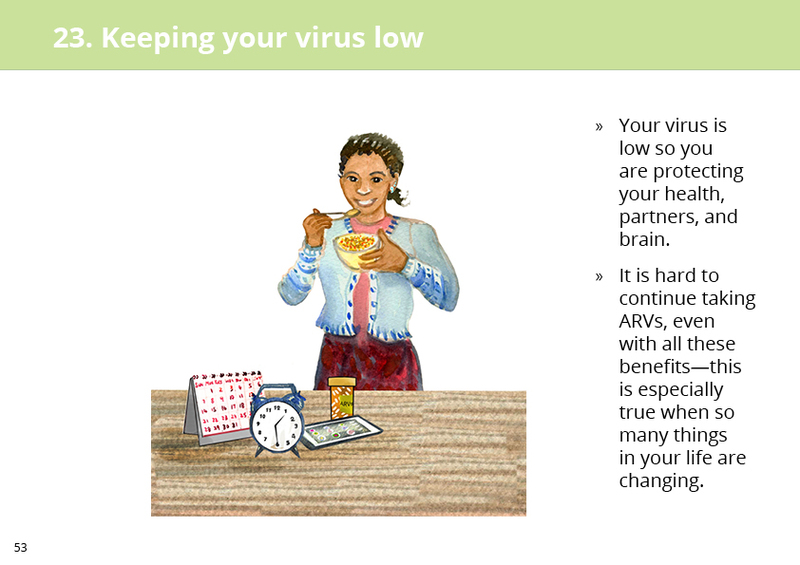 In partnership with the CDC, ICAP needed to develop a set of viral load and advanced adherence flipcharts that would form part of its larger training of health workers to improve outcomes for HIV patients on ART. 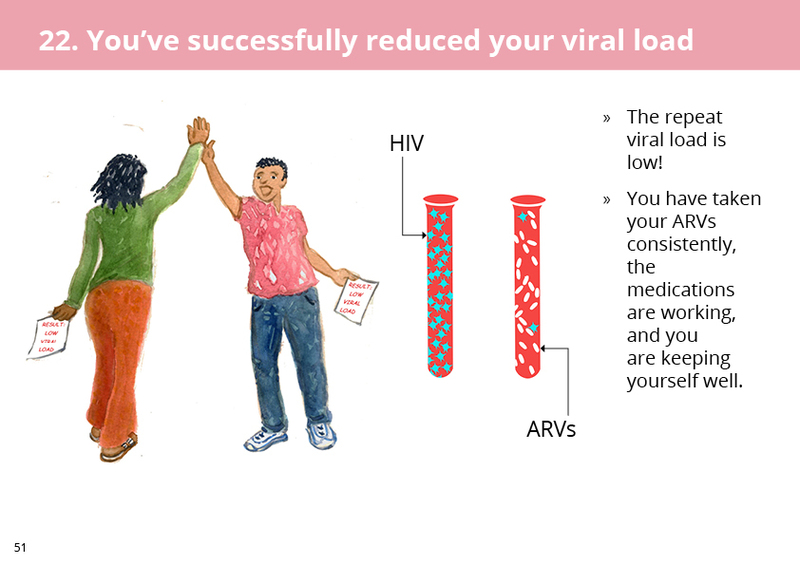 The flipcharts needed to reflect the context of the users, mainly families throughout Africa, and help health workers provide easily understood information about viral load monitoring and results to patients (or their parents). 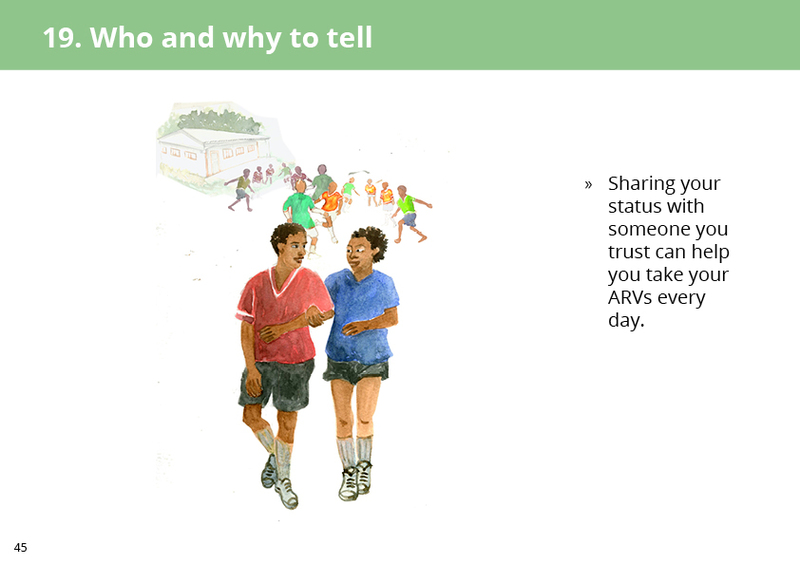 I worked with an illustrator (Meg Jordi) and translated the toolkit text into a user-friendly flipchart. 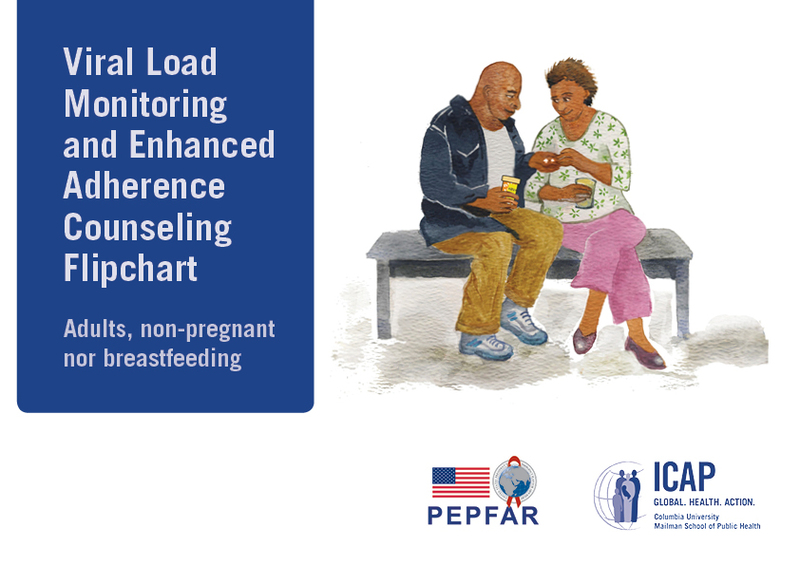 Three versions were developed as part of the toolkit: children, adolescents and adults (not pregnant or breastfeeding). 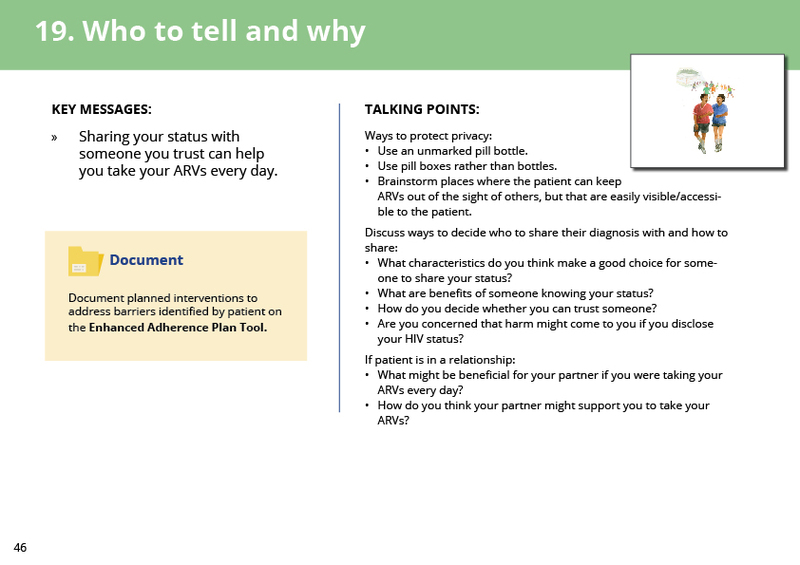 The flipcharts were designed to be used by a variety of different health care providers, from community health workers to pharmacists to doctors and nurses. 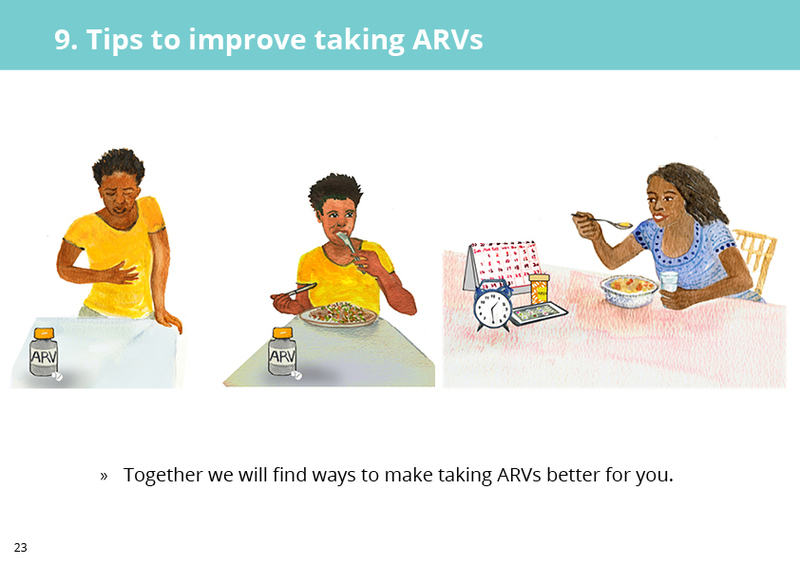 The toolkit was subsequently translated into Swahili, French and Portuguese for use throughout Africa. 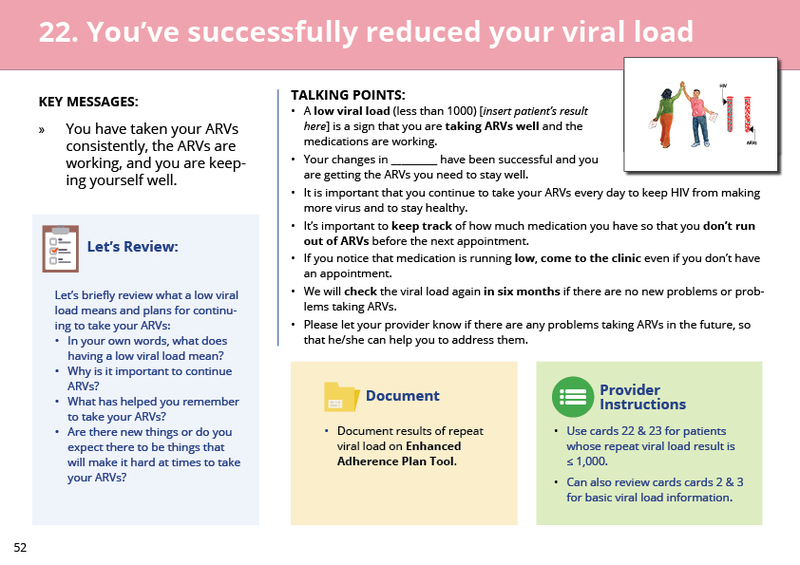 To accompany the flipchart and other training materials, I also designed three additional tools: the viral load log scale wall chart; a viral load management algorithm wall chart, and the enhanced adherence counseling cycle wall chart. 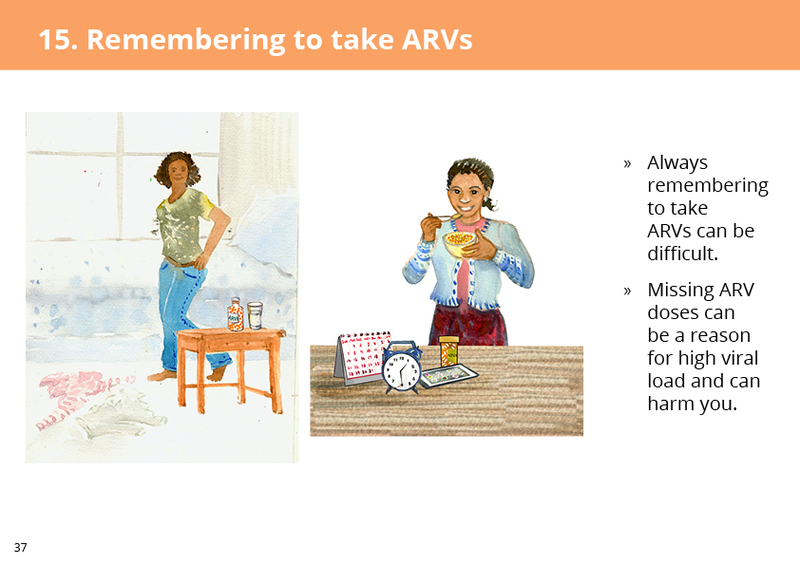 The front of the cards are shown to the patient (or their caregivers) and the back contains notes and messages for the health care providers and reminders of documents that need to be collected, tests run, talking points, and more. 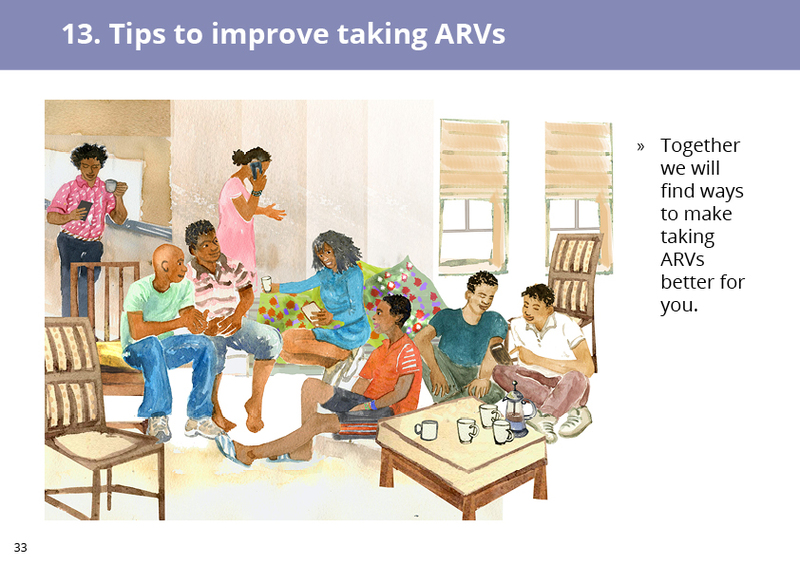 Varied illustrations were used in the three versions of the flipchart, showing similar scenarios with the specific audience (child, adolescent or adult).